It’s Springtime in the CLASSroom! 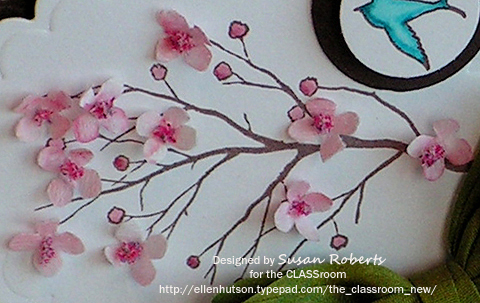 Come on over and see how I made these sweet little blossoms. Hope to see you there! These flowers are so cute. And I have all the supplies so I can try these! Thanks so much for the Idea! Oh WOWWWWW, I’m RUNNING over to see how you made those! Oh so sweet Susan, I’m heading over now to check out your recipe! Gorgeous card, just love the blossoms, just brings a smile to my face! Thanks for sharing the how to’s! Thank you so much for sharing tutorial, Susan! These flowers are so gentle… I would never think that they were made out of coffee filter! You are so talented and creative! Can’t wait to see more of this one…I just LOVE cherry blossoms! Very refreshing to the eyes. Maybe I can try making some, I just don’t know how to start. LOL. Ooooh this is so pretty!!!! Wow…looks so pretty, Susan! Heading over to check the deets!! Love the blossoms – so sweet and perfect!!! Can’t wait to see more of this one…just love charry blossoms!! !